More and more people are learning how to successfully make a living using Amazon FBA. The good news is that you can learn the skills too just like myself and former Amazon Boot Camp student Dan Meadors. 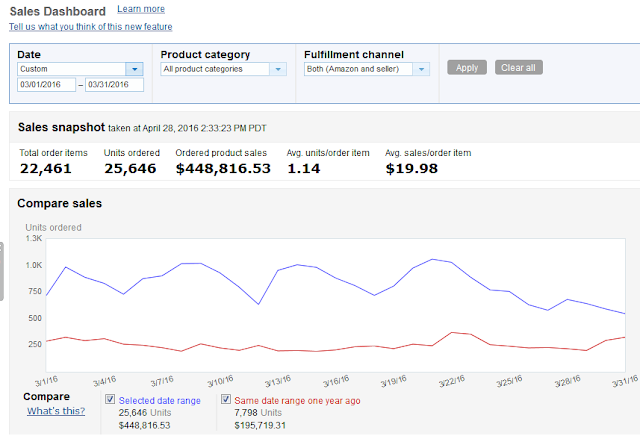 In the Interview below, read how this Multi-Million Dollar Amazon Seller, went from working a full-time job to committing to selling on Amazon FBA. Thanks for your time, guys. Could you please tell us a bit about you and how you got started selling on Amazon? Absolutely! In late 2011 we were both working full-time jobs for an online retail company that specialized in selling collectible card games. One day, the CFO of the company quit. It surprised us because he was making a 6 figure salary at the time, so we asked him why he was leaving. He told us that he was making more money selling stuff on Amazon and he was just going to focus all his time on that. So you guys started with Retail Arbitrage. How long were you doing that before you decided to leave your full-time jobs and pursue selling on Amazon full-time? Switching to full-time after only selling part-time for four months is amazing. How much money did you guys have to get started with? It is a funny story really. I had basically no credit history and Eric had bad credit due to some, shall we say, irresponsible decisions he made while he was in college (he did have the nicest stereo system on campus though). That means we got started with a $600 limit credit card that was in my name and that was it. Our strategy was essentially max out the card, pay it off. Rinse and repeat. How has your Amazon business grown and changed over the years? In 2015 we began hiring employees to help us scale and grow while also moving into the 10,000 sq ft warehouse we currently occupy. We finished 2015 by doing 3.8 million in sales on Amazon. So far in 2016 (currently April) we are on pace to more than double our 2015 sales as we continue to grow quarter after quarter. Your Amazon business is now 100% wholesale based. Do you care to explain what that means for those that may not know? Sure! It just means that we are buying products in large quantities from wholesale companies and manufacturers to sell on Amazon. The products come to you or even better, they will send it to Amazon directly. The best part about wholesale is just how scalable it is and how simple it is to automate. You mentioned your course The Wholesale Formula. How do people sign up for it? Well actually, you can’t sign up for it right now. We do college style enrollment which means we only accept students a couple times a year for a couple weeks at a time. This allows us to really focus on helping those students learn and grow their businesses. But we actually spend a lot of time helping people for free too! We are part of The Selling Family Facebook group you recently started and it has been a wonderful and engaging group. If anyone has questions about wholesale they can feel free to tag us in there and we will do our best to answer them. It is the least we could do. I don’t know where we would be today without the help and support from many gracious people over the years. You included, Jessica! We were Amazon Boot Camp students once upon a time. I do appreciate that guys! Ok, one last question from me. What is the single biggest piece of advice you would give to someone aspiring to grow their business like you and Eric have? I will do you one better. How about I give everyone three pieces of advice instead? I have always said, if you value your time at $50 an hour then you better not be spending your time on $10 per hour tasks. A top priority for every entrepreneur should be constantly finding ways to make sure your time is spent on only the highest valued tasks for your business.